ALES 70% ALES 25% Ammonium Lauryl Ether Sulfate CAS 32612-48-9 is an anionic detergent and surfactant found in many personal care products (soaps, shampoos, toothpaste etc.). It is white or light yellow viscous paste. ALES has excellent detergency, hard water resistency And high biodegradation. Hair shampoo with ALES has excellent combing ability And comfortability to skin. 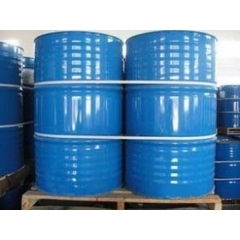 Sodium dodecyl sulfate, synonymously sodium lauryl sulfate CAS 151-21-3 is an anionic surfactant used in many cleaning and hygiene products. SDS is a common component of many domestic cleaning, personal hygiene and cosmetic, pharmaceutical, and food products, as well as of industrial and commercial cleaning and product formulations. Polysorbate Tween 20 /40 /60 /80 are a class of emulsifiers used in some pharmaceuticals and food preparation. They are often used in cosmetics to solubilize essential oils into water-based products. Polysorbates are oily liquids derived from ethoxylated sorbitan (a derivative of sorbitol) esterified with fatty acids. 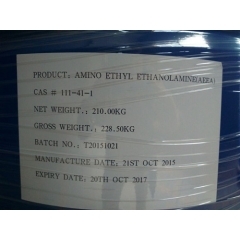 Amino ethyl ethanolamine AEEA CAS 111-41-1 is transparent liquid without suspendedmatter. 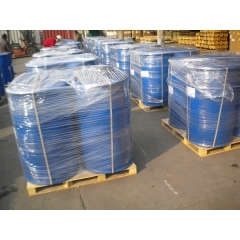 Aminoethylethanolamine or AEEA is an organic base used in the industrial manufacture of fuel and oil additives, chelating agents, and surfactants. Epoxy resins CAS 25068-38-6 are created by transforming liquid polyethers into infusible solids through a special curing process. In most cases, resins are the result of a chemical reaction between epichlorohydrin and bisphenol-A. CTAC 50% is Pale yellow to yellow liquid,CTAC 99% is white to almost white powder.CTAC is a quaternary ammonium based surfactant that finds uses in broad number of industrial cleaning products and also be used in hair care products, such as hair conditioner, cream rinse ingredient and so on. 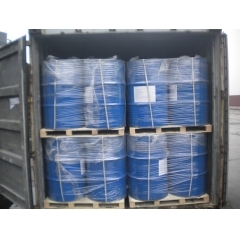 TNJ Chemical is professional Polysorbate Tween 20 /40 /60 /80 manufacturer and supplier from China. Tween Polysorbate are a class of emulsifiers used in some pharmaceuticals and food preparation. They are often used in cosmetics to solubilize essential oils into water-based products. Polysorbates are oily liquids derived from ethoxylated sorbitan (a derivative of sorbitol) esterified with fatty acids. 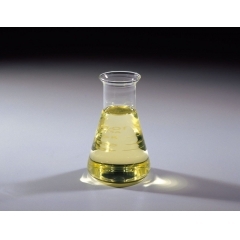 Span 80 CAS 1338-43-8 is light yellow viscose oily liquid. Span 80 is insoluble in water and soluble in organic solvents. 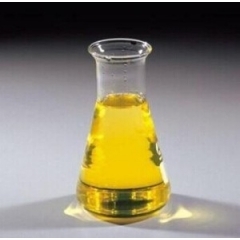 It is water/oil type emulsifier, which can be mixed with emulsifier S60 and emulsifier T60. HLB: 4.3. 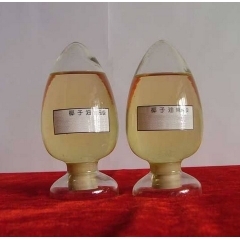 Coconut diethanolamide is viscous yellow to amber liquid,Boiling point at 168-274°C,Water solubility is 5-10 g/100 ml at 18 ºC,it is Stable.Combustible. Incompatible with strong oxidizing agents.